Hello! Welcome to yet another post. 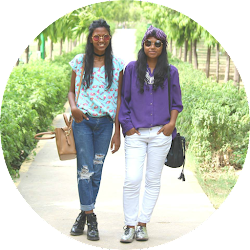 It had been quite sometime we did a post that showcased our love for colours. Our sister complained that the outfits we orchestrated were pretty bland in terms of colour. 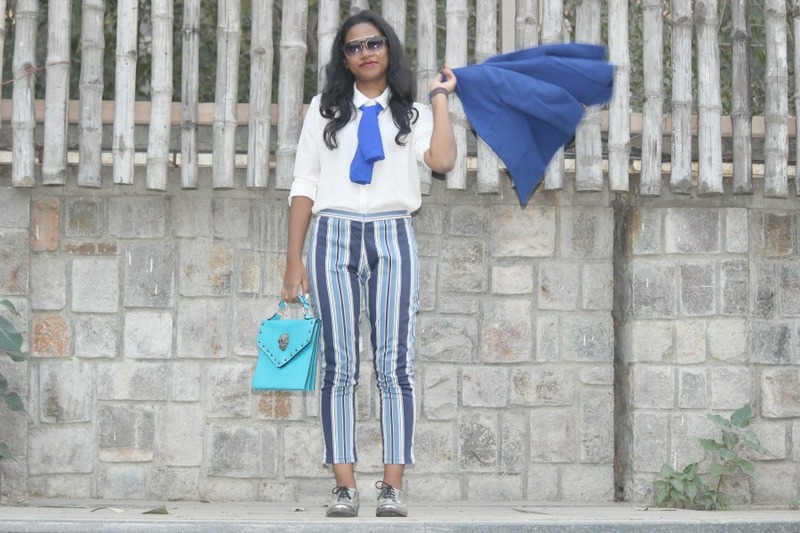 We did not want her to complain any further and hence came up with a riot of colours in this post. 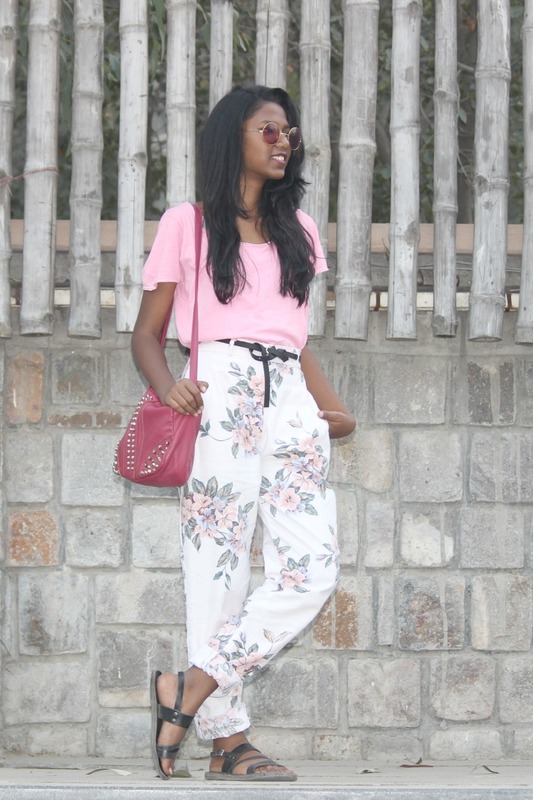 One of the best ways of incorporating bright hues in an outfit is by wearing printed pants. 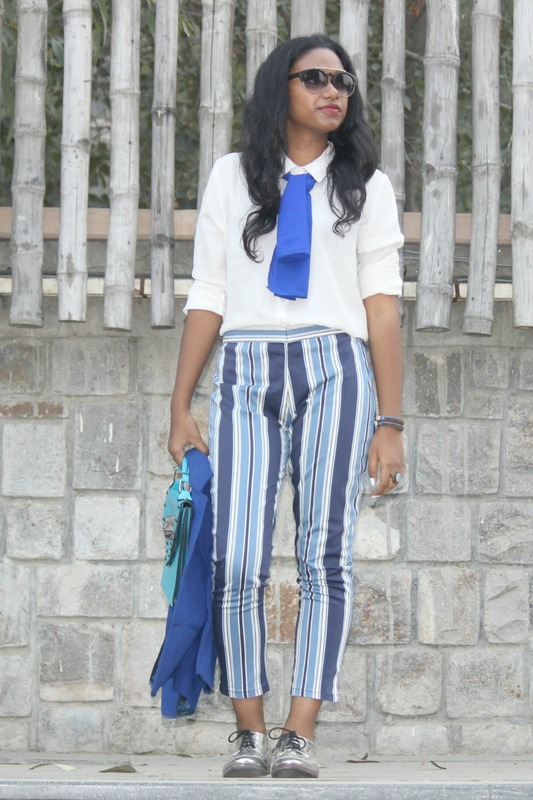 While Roseleen's pants were floral, Bridgette went for another classic, the striped pattern. 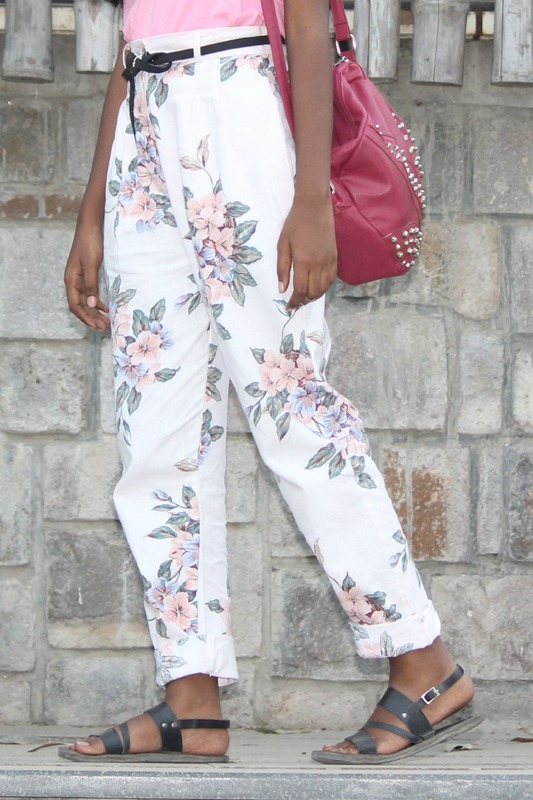 The floral prints on Roseleen's pants are demure and in the shades of pastels. 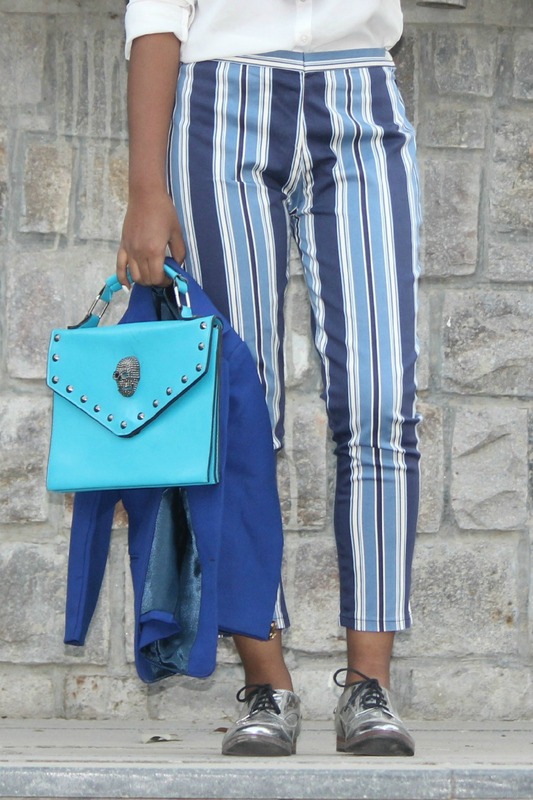 The stripes on Bridgette's are bold and eye-catching. You could also go for a colour block by adding two contrasting colours which are soothing to the eye when seen in one outfit. This could be any duo, say, orange and red or pink and purple at their brightest. If you shy away from bright hues, you could try it our way by keeping one item of clothing at its mightest hue. Do let us know if you liked or disliked the outfits. We are trying our best to bring you outfits that you could try on a day to day basis. Do give us a feedback, it helps us introspect. Thank you for reading. May you have a wonderful week. Hi girls , very nice look! You both Look amazing. Lovely color combo!!! Thanks Kayla! :) We're glad you liked it. Lovely and fresh looks as always <3! I'm always in love with your color picks! Ola meninas! Amei os looks de vocês! Amei o blog vocês são lindas! Thank you Elsie. :D You are doing an amazing job, keep inspiring! We are glad you enjoyed it. Thank you for dropping by Kim. 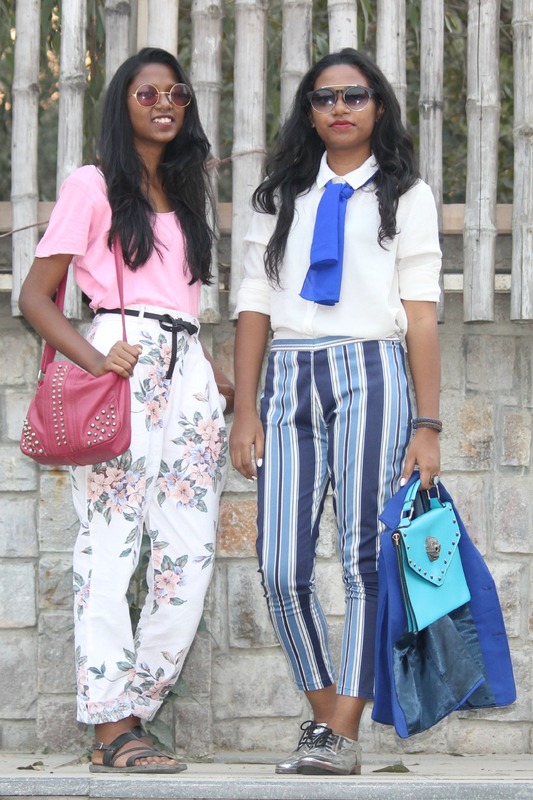 these looks are so cool together, loving the printed trousers!